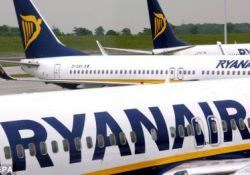 Ryanair is starting eight new routes from Edinburgh to mainland Europe plus the Canaries for its winter season – bringing its services from the Scottish capital from 19 to 26 routes, a 42% increase. The airline is also extending its summer routes to/from Malta and Rome (Ciampino). These routes start flights on 30 October. It will carry 2m passengers through the airport this year, which will sustain 2,000 local jobs. The airline says the winter schedule will concentrate on outbound winter sun and city breaks and are aim to combat the UK government’s £11 tourist tax continues to devastate inbound UK tourism and visitor numbers. Last updated by jack on 21 August, 2009 in Travel News.